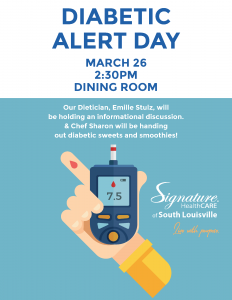 Signature South will be offering diabetic education on March 26th at 230pm in the dining room. 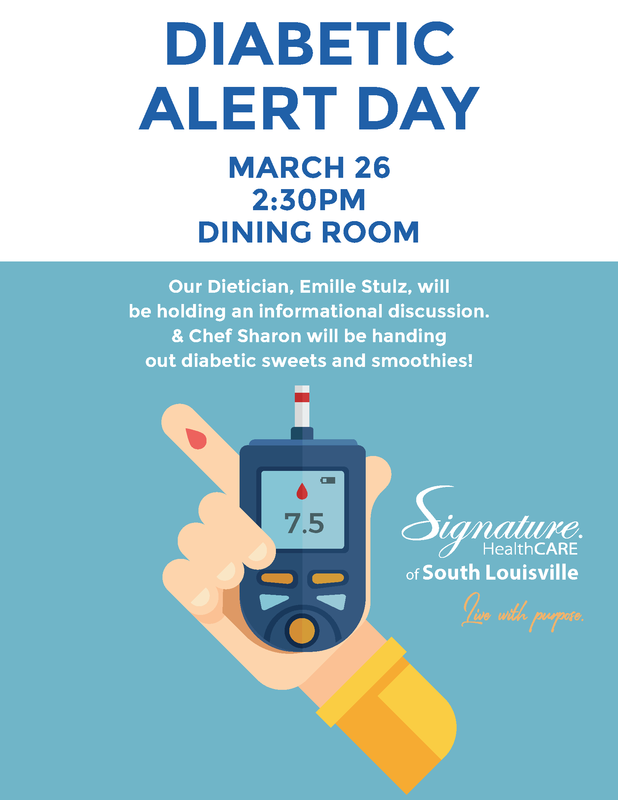 Our dietician will be providing helpful information on how to eat a diabetic diet and our chef will offer diabetic snacks. Please come join us!